When I first read Crow Planet by Lyanda Lynn Haupt I remember being absolutely transported to another place as I tried to picture a day in the life of a wildlife rehabilitator, like Ms. Haupt herself. When I learned that a new friend was also a wildlife rehabilitator, I knew I had to connect with her for a chat. Here in the northeast we are sandwiched between two bad snowstorms, and every gardener I know is desperate for some connection to green growth or other signs of life. So I reached out to this wildlife rehabilitator who kindly talked to me about her work life. She gave me permission to use her photographs for this post, though she prefers that her identity and the location of the wildlife center to remain a mystery. 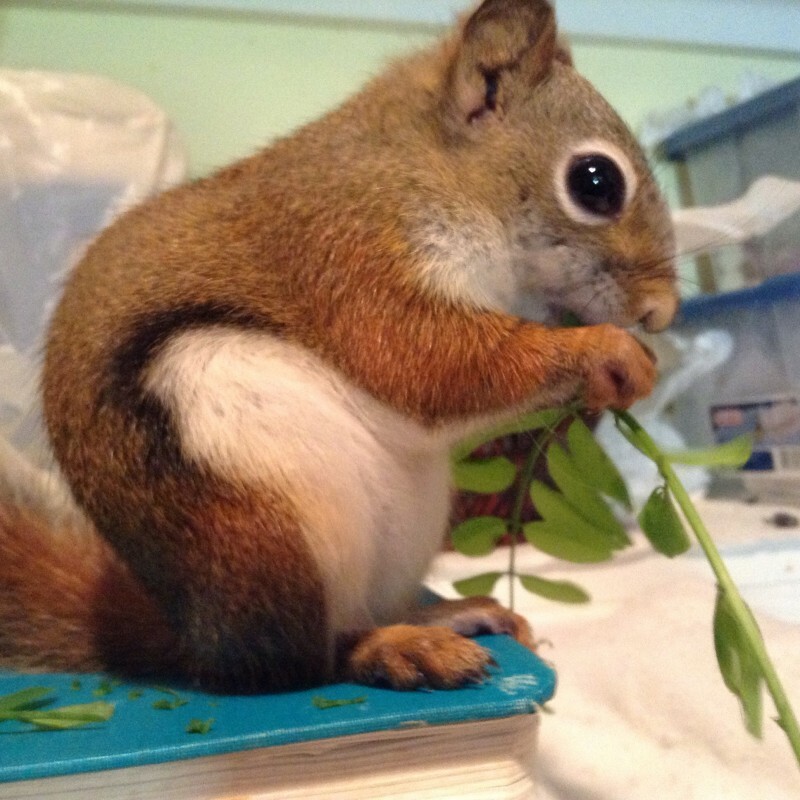 Peeking into the wildlife rehabilitators world is exhilarating for any natural gardener. We work so hard to arrange our properties to attract the creatures; we stock our gardens with native plants to create a localized food bank. We just want contact with the wild, natural world. A state trained rehab-er is hands-on and up close and intimate with the animals in a way that is exceptional for habitat landscapers like me, but it’s something I think I need more of. I learned a lot from talking to my new friend. For example, I had no idea that it’s illegal for a layperson to attempt to care for a found wild animal. If abandoned young or injured animals are found, without training we lack the fundamentals to help the creatures and in many cases we may well cause harm. Contact information for local wildlife rehabilitators is readily available online or through a local government conservation office, and using these resources can help save wild animals lives. Many times the advice is to do nothing, like when a fawn is found. People call about fawns a lot, and the protocol is usually to just leave the fawn where they are and at some point they will vanish on their own, or with Momma’s help. In the rare cases that a fawn is still there after 14 hours and appears to be injured or has maggot larvae on it (or the mother deer is known to be deceased) then a rehab-er should be called in to help. The wildlife center my new friend works with is located on 300 rambling acres of beautiful woods and wetlands. The matriarch of the center is shown in the photo with the raccoon here, she founded this private location 25 years ago. My friend expressed a sort of joyful sadness about raising animals to be released back into the wild. She naturally develops deep affection for the baby animals but at a certain phase in their development it becomes necessary to actually train the animals to fear her, to fear all people. This has to happen for the creature to stand a chance at autonomous survival. But it hurts. This earth loving lady talked about learning important lessons about letting go from her work teaching the animals to fear people, and it made sense when she mentioned they successfully release hundreds of animals back to the wild each year. But personally I may not be a great candidate for wildlife rehab work: I don’t think I could teach the animals to fear me. For now I’ll stick to designing and building habitat gardens with native plants, but peeking into the wildlife rehabilitators world was a delightful treat in this blustery, arctic week. Thank you so much for all your good work.